Walden Surgical Associates is committed to delivering high-quality surgical care, which begins with communicating clearly and includes applying our considerable experience and expertise. Dr. Khan, Dr. Ragulin Coyne, and Dr. Hinnebusch frequently are called upon to see emergency patients within 24 hours. They are frequently able to do so. Our staff is here to help you throughout your surgery experience. They will try their best to accommodate your schedule and help coordinate any necessary testing. Our recently renovated main office, which provides free wi-fi, is located at Emerson Hospital. 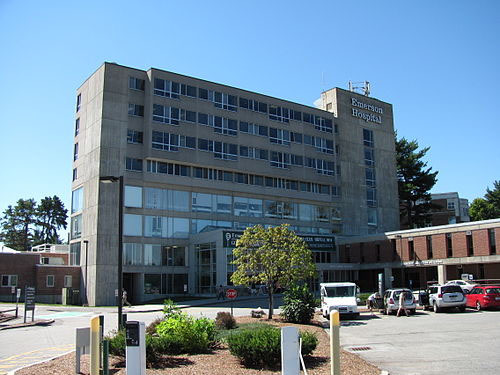 Emerson Hospital is located on Route 2 in Concord. Follow signs to the emergency entrance and bear left into the parking lot adjacent to the John Cuming Building. On entering the building, turn right to find the elevators and proceed to the fifth floor. We validate for parking in the main lot in front of the John Coming Building. Parking in the garage will not be validated. Our office hours are 8:30 a.m. to 5 p.m., Monday through Friday. To make an appointment, please call 978-287-3547. In case of an emergency, please dial 911. Emerson Hospital has an outstanding Emergency Department where you can be evaluated and seen by a surgeon.